Millions of Americans suffer from chronic and debilitating conditions and diseases. They invest millions of dollars trying to get relief and to improve their quality of life, including any lost mobility. Sadly, many are unable to find relief with traditional prescription drugs or any other treatment plans. However, some of these people are able to find help and hope with the supplement 5-HTP. Below is a full 5-HTP review. Any 5-HTP review should start with this question. 5-htp also known as 5- hydroxytryptophan, is a popular over-the-counter supplement used by many. 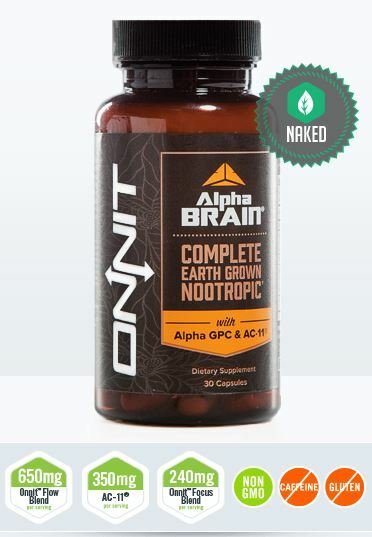 This supplement is a chemical by-product of the protein building block L-tryptophan. In addition, it is commercially produced using the seeds of the Griffonia simplicifolia, native to Africa. In food, it is only found in insignificant quantities. 5-HTP contains a chemical that tells the body to metabolize tryptophan. Tryptophan is an amino acid that can be found in many foods, such as milk, meat, pumpkin, various greens, and potatoes. 5-HTP is also naturally produced in the body, as a side effective of brain chemical production. Your body created 5-HTP on its own from tryptophan, then converts it into serotonin. The production of serotonin, a brain chemical, is increased by 5-HTP. Serotonin is a powerful chemical that has the potential to affect sleep, the sensation of pain, sexual behavior, appetite, and temperature. Serotonin plays a role in many different diseases, thus making 5-HTP a widely used supplement for many different conditions. Why do people take 5-HTP? Although not all of these disorders have proven to be affected by 5-HTP, a 5-htp review found that it is effective in treating depression and fibromyalgia are two medical disorders that have been proven to be effectively treated with the supplement. Several research studies have been conducted on 5-HTP. Many trials have shown that people taking between 50-3000mg of this supplement each day for two to four weeks can help improve depression symptoms. In fact, 5-HTP is already marketed in areas of Europe under several different trade names for depression. Increasing the amount of available serotonin in the brain can have an immediate effect on the mood of the affected person. Some clinicians believe it is so effective that it could turn into a conventional antidepressant therapy. Clinical trials have also found 5-HTP to be an effective treatment for fibromyalgia, reducing symptoms of the disease, such as morning stiffness, sleeplessness, and severe pain. Additionally, some top doctors have called 5-HTP the best natural appetite suppressant. As 5-HTP causes serotonin levels to rise, hunger decreases. This makes you feel more satisfied faster when you eat. In fact, one study even discovered that women ate less carbohydrates, without even making the effort to do so. Doctors and researchers have done a 5-HTP review and concluded that it is most effective in suppressing the appetite and calorie intake of people who crave food, especially carbs, around the clock. In one study, women who took a 5-HTP supplement each day ate over 1,000 less per day and felt less hungry throughout the entire day. Another study found that participants who took this supplement lost over 10 pounds in 12 weeks, compared to only 2.2 pounds in the placebo group. After a 5-htp review you’ll find that another potential benefit of 5-HTP is that it can help decrease blood pressure. A 1998 clinical trial showed that when taken with a diet high in carbohydrates, 5-HTP can lower blood pressure. Taking a 5-HTP supplement is different, and more effective, than taking a serotonin supplement. This is because the 5-HTP supplement has the ability to reach the brain directly from the bloodstream, whereas serotonin does not have this ability. In other words, 5-HTP can access the blood-brain barrier. Our 5-HTP review has concluded that 5-htp can provide benefits that serotonin can’t. You can find 5-HTP review in your local health food store, pharmacy, grocery store, or even online. It usually costs between $10 and $20 per bottle. You should be sure you are purchasing a bottle that is 100 percent pure 5-HTP, or griffonia simplicifolia extract, as stated on the bottle. Avoiding additives, binders, and fillers is your best bet for effectiveness and safety. Be sure you are taking a pure supplement, to avoid any problems reported with impurities and contaminants, such as acute illness and intense soreness of the muscles. Generally, 5-HTP is sold in 50 or 100mg gelatin capsules. The recommended dosage of 5-HTP will vary, depending on many factors. These factors include age, weight, general health, and the condition it is being used for. Contact your doctor or pharmacists for appropriate dosing information for your particular condition. You can also consult the product information or the manufacturer. A 5-htp review suggests that you start by taking a small dose daily and work your way up, such as 50mg doses at three times per day. It is recommended that you take it 20-30 minutes before meals. If you do not see much difference in your condition or symptoms at 50mg, talk to your doctor about going up to 100mg with each dose. However, you would want to wait several weeks on the 50mg limit per dose, prior to increasing the dosage to 1—mg. It can take a few weeks to see the potential results of this supplement. According to our 5-htp review however, it is recommended that you do not take 5-HTP for longer than about 12 weeks. If you are taking 5-HTP for insomnia, the instructions are slightly different. You should start taking about 100-200mg each night. If you do not notice a better night’s sleep, you can go up to as much as 300mg at bedtime. Many people have naturally been able to overcome debilitating conditions with the help of this innovative natural supplement. From anxiety and depression, to seizure disorders, from Parkinson’s disease to headaches; after this 5-HTP review you’ll agree it has a lot of promise, as well as many success stories. If you suffer from any of these conditions, talk to your doctor about trying 5-HTP. For many, this supplement has been a modern day miracle drug.